This animal is NOT at Barc and will not be adopted with the assistance of Barc. 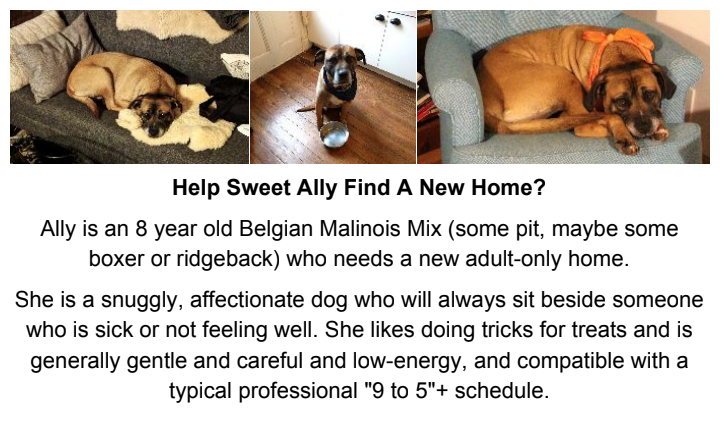 Please send any inquires to adopt Ally to her foster Juliet through her cell is 914-815-5502 or email rob@infinitepigeons.org. These adoptions are NOT through BARC Shelter. We are in no way affiliated or promoting the adoptees.